Acute—Cells are not fully formed. They grow and spread quickly. The effects on the body happen fast. Chronic—Cells are mature and fully formed, meaning they look like normal cells. However, they do not work like they should. Chronic leukemia may not be noticed until symptoms appear. This can take years. In some people, it is found during a routine blood test. Myeloid—Affects myeloid cells which grow into certain types of white blood cells, red blood cells, and platelets. 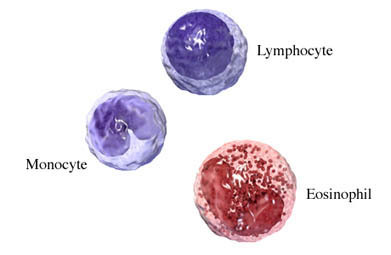 Lymphocytic or lymphoblastic—Affects lymphoid cells that normally grow into a type of white blood cell called a lymphocyte. 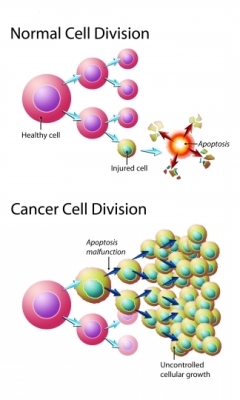 What are the risk factors for leukemia?What are the symptoms of leukemia?How is leukemia diagnosed?What are the treatments for leukemia?Are there screening tests for leukemia?How can I reduce my risk of leukemia?What questions should I ask my doctor?What is it like to live with leukemia?Where can I get more information about leukemia? Acute lymphoblastic leukemia/lymphoma (ALL). EBSCO DynaMed Plus website. Available at: http://www.dynamed.com/topics/dmp~AN~T116388/Acute-lymphoblastic-leukemia-lymphoma-ALL. Updated October 17, 2018. Accessed March 14, 2019. Acute myeloid leukemia (AML). EBSCO DynaMed Plus website. Available at: http://www.dynamed.com/topics/dmp~AN~T114798/Acute-myeloid-leukemia-AML. Updated August 14, 2018. March 14, 2019. Chronic lymphocytic leukemia (CLL)/small lymphocytic leukemia (SLL). EBSCO DynaMed Plus website. Available at: http://www.dynamed.com/topics/dmp~AN~T114637/Chronic-lymphocytic-leukemia-CLL-Small-lymphocytic-leukemia-SLL. Updated November 21, 2017. Accessed March 14, 2019. Chronic myeloid leukemia. EBSCO DynaMed Plus website. Available at: http://www.dynamed.com/topics/dmp~AN~T115889/Chronic-myeloid-leukemia-CML. Updated January 4, 2018. Accessed March 14, 2019.